Dumfries Museum was the venue for the launch of Volunteers’ Week 2006 by Volunteer Action Dumfries and Galloway. 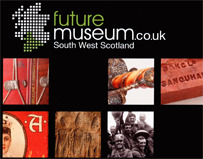 A new £500,000 web based project, entitled Future Museum has received funding from the Regional Development Challenge Fund to create web based access to south west Scotland’s museum collections. The project is a collaboration between museum services of the south-west of Scotland. It aims to maximise access to collections and deepen people’s understanding of the rich history of the region. Future Museum Touring Exhibition: "The Legacy" and "Eldorado"
The Legacy is a photographic exhibition documenting the legacy of mining in the south west of Scotland. 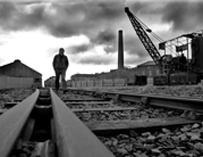 The work explores the people and landscapes of the region connected with the mining industry past and present. El Dorado explores the history of mining in the south west of Scotland.